Broken AC? Heating Problems? Call Accel Heating & Cooling’s Professional Heating & Air Conditioning Repair Experts Today! Contact Accel Heating & Cooling for all of your St Louis Heating &Air Conditioning Repair Needs! Accel’s Professional Heating and Air Conditioning Repair Experts are committed to building lasting relationships with our customers, and going the extra mile to make our customers happy and satisfied with our expert service. We are dedicated to providing great customer service, and strive to always deliver excellent customer service, outstanding products, affordable prices and superior workmanship to all of our customers, big and small. If you need St Louis Heater Repair or St Louis AC Repair we are your best choice! Accel Heating & Cooling only employs expert, fully licensed, insured, and NATE-certified team of technicians to take care of your HVAC / Heating & Cooling systems. Contact Accel Heating & Cooling Today! Whether you need HVAC installation, St Louis Heater / AC Repair or Maintenance, duct sealing or cleaning, or indoor air quality solutions, Accel Heating & Cooling is the only company you need to call. Call Accel Heating & Cooling today at 314-541-4069 for expert St Louis heating & air conditioning repair & installs, and we will have your residential and commercial heating and cooling equipment running like new! 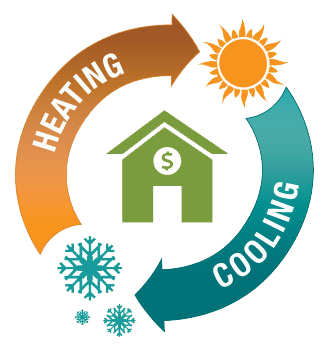 Here are some links that may help you save some money on your heating and cooling bills.